If you have bed bugs in your house than admit it that you need help of bed bugs exterminators because getting rid of bed bugs is as necessary as to sleep. Unfortunately only you or the bed bugs can stay satisfied at a time and you’ll never be willing to compromise on your sleep for a problem that you can easily solve. For a reliable bed bug control, you should consult “bedbugs exterminator” in your area. If you run a hotel then bed bug control is very important for your business. Your clients come to spend peaceful night at your hotel and bed bugs can turn their stay into a nightmare. Bed bugs are small reddish-brown and flat bugs with size smaller than an apple seed. These are external parasites just like mosquitoes and feed blood of humans and other animals. 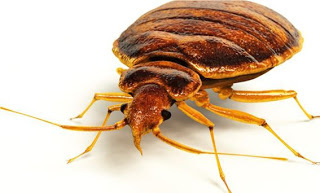 They bite and causesevere itching which sometimes turns into dermal infections and allergies.Bed bugs control sounds a bit difficult as they are normally not visible but there are some simple ways that you can use for getting rid of bed bugs. Let’s have a look at those simple bed bug treatment tips. the areas infested. This will lead to choose the right bed bug treatment. killing bed bugs along with their eggs. Calling bed bugs exterminators is often much effective as they are experienced and trained to handle bedbugs infestations very often and they know where and how to look for source. Look for the companies that provide “bedbugs control” services and discuss with them, read the testimonials and get referrals to reach the right place. Beware of the scammers at the same time. You should clean all the sanctuaries. Hot water is the best tool; use hot water to wash all your belongings including linens and dry on the hottest possible setting. 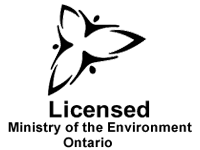 Large items such as blankets and carpets can be put into large-sized garbage bags and sprayed with the bed bug control pesticide. Keep the bags closed for a couple of weeks. Also deal with the luggage such as travel bags and other items such as new couch according to advice of professional bed bugs exterminators. Using vacume, steam and chemical in one go yields best result. do not rely only on any one method alone. It can help saving big bucks because use of only one method will give you short term results but for complete “elimination of bedbugs” from your facility make sure which ever company you hire they do these three (vacuming, steaming and chemical treatments). Otherwise you will end up spending more money in bits and pieces to pest control companies without having your problem solved. Make sure when you are required to discard some of your furniture items or any other household items wrap and seal them good with plastic so that you do not spread bedbugs in corridors/hall ways/elivators during process of disposal.